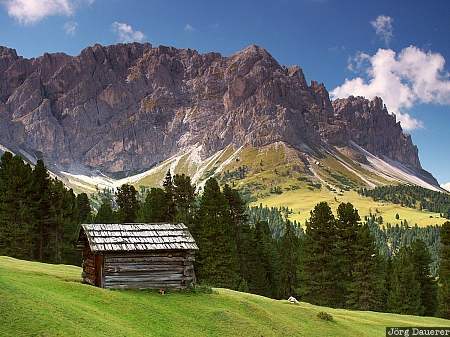 A small wooden cabin near Passo delle Erbe (Würzjoch) in the northern part of the Dolomite Alps. Passo delle Erbe is in the province of South Tyrol (Alto Adige) in northern Italy. This photo was taken at noon on a sunny day in August of 2003. This photo was taken with a digital camera.